NASHVILLE, TN — WeWork is the platform for creators. The organization provides beautiful workspace, an inspiring community, and meaningful business services to tens of thousands of members around the world. From startups and freelancers to small businesses and large corporations, our community is united by a desire for our members to create meaningful work and lead meaningful lives — to be a part of something greater than ourselves. The really good news is that WeWork is coming to Nashville in the fall 2017, with locations in Downtown and East Nashville. 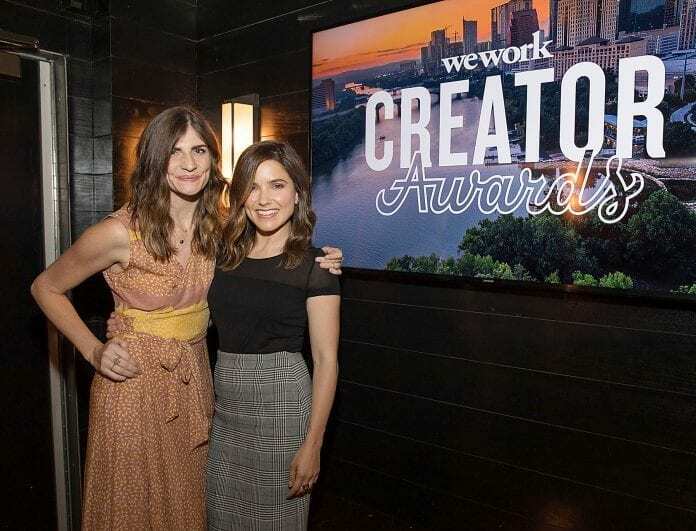 WeWork recently hosted an intimate dinner event in East Nashville, with actress and activist Sophia Bush and designer, influencer and Nashville resident Ruthie Lindsey, Adam Wacenske (WeWork’s general manager of the South), along with Lyon Porter. The event featured discussions on the collaborative, communal heart of Nashville, which parallels to that of WeWork as well as the Creator Awards mission. “One of the things that strikes me so much every time I come to Nashville is that this place is such a community,” says Sophia Bush about Music City USA. “You know what I love about this place is that it has a very collaborative feel and it doesn’t feel very competitive. It just feels open and welcoming. I get excited every time I come home and it’s because of the people, and that’s what WeWork is all about, you know these collaborative workspaces,” Ruthie Lindsey. The Creator Awards is a major new global initiative established by WeWork to recognize and reward the creators of the world – across all industries and all stages of growth – by granting over $20 million to entrepreneurs, small businesses, growing companies, non-profits, artists, and more. In addition to the financial awards, WeWork brings Creator Awards to life through a series of regional events where communities come together for interactive forums to support passion, innovation, and impact. How It Works: Any individuals or organizations interested can apply online at creatorawards.wework.com. Select finalists are invited to present at one of seven regional events. All events are open to the public. The financial grants are available to creators in three categories with the intention of offering an opportunity to as many different types of creators as possible. ● The Scale Award: Businesses/ nonprofits with record of success, ready for next level ($180k – $360k) Regional Events Creator Awards include a series of regional events with programs and pitches followed by a ceremony and celebration. All events are open to the public.